Gordon Bailey has been a parks manager within the local government sector for over 30 years. Managing parks in Gore, Queenstown, Waikato and now Central Otago. During that time he has been instrumental in developing tree policies which recognise the value of trees within the urban environment. During his time in local government community’s attitudes towards trees has changed, where once trees would have been removed without hesitation now many require extensive consultation processes. Still, tree issues are emotive and polarising both within the local community and local authority. Gordon's presentation will try and address some topical tree issues facing our ever increasing urban lifestyle and the role arborists can play in achieving a successful outcome for all concerned. Minimally destructive tree decay detection techniques such as resistance drilling, or tomographic techniques using stress wave timing, thermal imaging, or electrical resistivity are often employed by urban forest managers, tree assessors and researchers of forest pathology to detect internal defects and decay in standing trees. These methods provide a useful snapshot of the internal condition of a tree, although may not fully reveal the spread of incipient stages of decay. In this study, electrical resistance profiles of wounded Magnolia grandiflora L trees were temporally compared by extracting spatial resistivity data in consecutive adjoining 2 mm bandwidths throughout the trees in 2016 and again in 2017. Using matched spatial data (assuming uniform lateral expansion), the resistivity profiles for 2017 were normalised against the 2016 profiles and electrical resistivity profiles were rendered by spatially interpolating the normalised resistivity data (∆Ω) using extracted spatial coordinates. Changes in electrical resistance for control trees (no wound) were consistent with heartwood formation, with an inner region of high resistivity surrounded by a ring of lower values. Changes in electrical resistance to wounded trees revealed regions of reduced resistivity which were spatially correlated with the location of the wound. The results of this research have practical benefits to tree diagnosticians who will be able to temporally monitor the spread of decay in standing trees using electrical resistance tomography. How do you combine a passion for plants, people, and the environment? 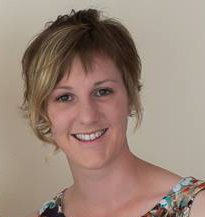 After graduating Otago University with a degree in Biogeography and Botany (BScHons First Class), Lily Burrows has done just that by working as a resource consents planner at Dunedin City Council. Planning is a role that allows Lily to look at the big picture; allowing for development while managing resources in a sustainable way. Lily specialises in processing applications that work closely with the Significant Trees Register, which is a tool that enables cities to identify and protect significant trees for future generations. Lily’s interests are running, music, armchair gardening and obsessively collecting houseplants. She is looking forward to at least partially explaining to you the mysteries behind how Councils’ assess applications and weigh up their decisions for tree maintenance and removal. A City Council’s role in protecting significant trees. Trees are a vital resource that add to a city’s amenity and beauty. The Resource Management Act 1991 enabled council’s the power to identify significant trees and protect them from felling. What are ‘significant’ trees? In this case, they are trees that have been identified by members of the public or council as being special. If the tree passes a STEM assessment, it can be listed within a schedule of a council’s District Plan. This means that whenever a person wants to remove or prune a significant tree, they must go through the resource consent process. What is the point of having a list of significant trees? Its purpose is to protect trees from people’s changing values and perception of the importance of trees. While there are many benefits to protecting significant trees, there are also some negatives. For instance, if a person buys a property with a significant listed tree on the site that they do not see the benefit of, then they cannot remove it without resource consent. The resource consent process will be explained throughout the presentation, including how planners assess effects and the differences between notified and non-notified resource consents. Howell Davies has an arboricultural background with 24 years’ experience in the tree care, management, and urban streetscape redevelopments’. He has practical experience in the tree care industry and began his career climbing trees in 1992 in the USA, before moving to New Zealand in 1994. He has a Diploma in Arboriculture, with Distinction from WINTEC in Hamilton, NZ, and awarded the best research topic for his final diploma year in 2007. Howell also has a Diploma from Farnborough College of Technology. He studied Environmental Analysis and Monitoring from 1986-1988. The course was one of the first of its kind in the UK and focused exclusively on pollution and climate change analysis. He is a resident in Auckland’s rural North West, lives on a 4-acre block of native bush with his wife and two dogs. He is a keen surfer and fisherman spending many hours at Muriwai beach either catching snapper or riding the waves! Howell currently works for the Auckland Council has had various roles in council over the last 18 years. His experiences with a number of Auckland’s large city centre and suburban redevelopment projects has resulted in a stepped change to how trees are planted in the central city. He has worked with a number of specialist teams including engineers, urban designers, hydrologists and landscape architects on the development and implementation of specialised tree planter pits. These are now found in large redevelopment projects in both street and park spaces in central and suburban Auckland. The designs allow for trees to be incorporated into stormwater management structures, as well as providing passive irrigation. Howell provides ongoing expertise to council’s urban designers providing input into the design of a range of tree planting devices. He is currently part of the project design team developing the streetscape that will be delivered as part of the CRL (central city rail link). The City rail link is the largest infrastructure project in the country, with an estimated cost of around 3 billion dollars Howell is working on the designs needed for specialised planter pits that will be located next to the rail tunnel structure when complete. In December 2016, Howell took on the new regional role of Senior Urban Forest Advisor for the Parks Department, Auckland Council, and has been busy working on the development of a regional tree strategy for Auckland. This has involved consultation with a range of council experts from the Chief Sustainability Office, Parks, Biodiversity and Auckland Transport. The Urban Forest Strategy for Auckland was approved by the council’s Environment Committee in February 2018. The document is still in draft form and will be released later this year. The strategy is the first of its kind for the region and is designed to be a high-level guidance and reference document based on research and data analysis. The strategy sets out the direction for the future growth, management and where possible protection of tree cover for the region. The document is aimed at giving a clear strategic direction for the current and future landscape management of the regions public and private tree asset. In May 2018 Howell was asked to present at the European Forum on Urban Forestry conference in Helsinki, Finland. He presented some of the research that he has been overseeing on the native tree growth rate study of the trees planted in the Wynyard Quarter in the CBD. Howell also visited the UK on his trip and presented on Auckland Urban Forest Strategy to a group of tree care officers, professionals and consultants from London and the south-west. Howell is a passionate dedicated individual who is working very hard to further our understanding of trees in urban environments and to improve the quality and health of Auckland’s tree cover, and to help raise the public awareness of urban trees and their value to our health and well-being, along with the known benefits of providing shade and shelter. He is an executive member of the New Zealand Arboricultural Association governance committee, joining the executive team in 2017. He is an active person in the development of a national program that will enable NZ to use the ‘I tree’ system. This is a large project and will help to provide better valuation tools for urban trees in NZ towns and cities in both north and south islands’. Current partners for this project are NZAA, University of Auckland, Canterbury University, Landcare Research, WINTEC; Auckland and Wellington councils’. The aim now is to seek both private sponsorship and central government funding, apply for a business enterprise grant, and work with industry to find ways to help progress this program. The aim is to have I-tree ready for NZ use in late 2019, discussion with US forestry service is ongoing with the planning on this update and addition to their suite of international countries that are now using the system. An Urban Forest strategy, the mechanisms and tools needed to design and deliver it – a city within a forest or a forest within a city? The Auckland Council Urban Ngahere Strategy was adopted by the Councils’ Environment Committee in February 2018. Howell is presenting on the process of development, and adoption of the Auckland Council Urban Ngahere (Forest) Strategy. He will describe what it means, and how it is going to be potentially beneficial for the regions tree cover, and how this is going to be measured in the future. The strategy sets targets for the long-term tree cover for the region and Howell will talk about the development, the process, the challenges and the benefits of having this strategy. Auckland has seen major change over the last 20 years and population growth is currently averaging >60,000 new residents a year, and a need to house a projected 700,000 new residents over the next 30 years; the region’s growth is impacting on the tree population by how much is not well understood and this is important for the region’s future tree cover. The strategy is going to be released later this year and will be a significant step forward as a guidance document for the management of the region's trees in urban and future urban areas. The strategy is a plan for the future, sets key objectives to better deliver our tree maintenance and management operations and is based on the need to “Know, Grow, and Protect” our urban Ngahere by managing the asset and engagement with key stakeholders. Howell will outline what is planned going forward with the strategy implementation and discuss how the council’s new field data collection system will help build a better and significantly more accurate view of the regions tree cover. The presentation will cover the basics of this system and how it is planned to integrate this with I-tree once the New Zealand version is released. Howell will also provide an update on the progress of the national I Tree project and is willing to talk about the project's development at any time during the conference. With a number of recent high-profile incidents and prosecutions in our industry, and the primary industry in general; a major change of legislation, greater requirements for both worker participation and involvement from clients - how do we keep on top of it? And how do we ensure our front line people stay safe? In this address, James shares the challenges of leading risky businesses, and strategies for transforming a business from merely complying with the law, to engaged health and safety leadership. Key themes include practices that managers and owners can use to demonstrate health and safety leadership on a day to day basis, understanding and managing risk, a shift in thinking from the absence of harm to the presence of good, building a safety culture and monitoring what matters. Judy Gardner is employed at Scion in Rotorua. 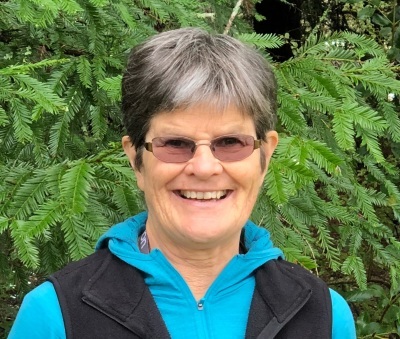 She has worked in the field of forest and tree diseases with the Forest Protection group for over 20 years, assisting with research into diseases such as armillaria root disease, septoria leaf blight in Eucalyptus nitens, cypress canker in shelterbelts and woodlots and Phytophthora associated diseases of radiata pine. Judy has been involved with tree disease diagnosis for a number of years and currently coordinates the pathology component in the diagnostic laboratory at Scion, which entails the processing, diagnosis and reporting on samples received from a variety of sources. Not least among her work has been diagnosis and advice regarding diseases and disorders of trees in urban and rural settings. The Forest Health Reference Laboratory is a limb of the Forest Protection team at Scion. Its role is to diagnose and report on samples received from the High Risk Site Surveillance programme of the Ministry for Primary Industries (MPI), forest health surveillance under the umbrella of the Forest Owner’s Association and from public enquiries, including those from arborists and tree specialists. The diagnostic laboratory is also closely linked to research projects being undertaken at Scion. Besides helping to protect trees and forests from existing pathogens and insect pests it also has a strong biosecurity responsibility and reports to MPI any organisms found to be new to New Zealand. In particular a watch is kept for unwanted organisms such as the agent of sudden oak death. The FH Reference laboratory is ISO accredited for the morphological identification of fungi and carries out molecular identification. DNA sequencing has become essential to the rapid identification of many fungal species. Diagnosis of fungal pathogens and abiotic disorders comprise the bulk of the work, but samples suspected to involve viruses, nematodes or bacteria are forwarded to the MPI Plant Health and Environmental Laboratory. In any one year over 700 samples are processed. This presentation will describe the work of the pathology side of the FH Reference Laboratory, including examples of some of the organisms most commonly encountered and a few of those that are less so. Particular attention will be given to those of most interest to arborists and other tree specialists. Dan has worked as a professional arborist for over 13 years. He trained and worked in the U.K before leaving to travel and work. Dan worked for a short time as an Arborist in Australia in 2010, since 2011 resides in Vancouver, Canada. A passion for tree climbing, safety and the industry as a whole triggered Dan to create a website with industry information and tree climbing techniques, the idea being to help others learn new & different techniques, progress quicker, and convey safety in the process. His site, ClimbingArborist.com , has been active for 6 years with a great following/user base. Dan also runs a small tree company in Vancouver, and when he’s not working, loves to compete in local tree climbing competitions to learn, improve, and hone his climbing skills, which he thinks every climbing arborist should try at least once. The Internet, a good resource for Arborist training? Or could it end in disaster? Dan will discuss the role of the internet in modern-day arboriculture, if it should be used to seek information as a training tool to progress your skills as a climber, or if this is a dangerous path where people will pick up bad information and techniques. Questions/discussion the audience will be encouraged to get real examples of good and bad information collected from the internet. In the later half of the talk, Dan will get into the topic of the safe use of chainsaws while in the canopy coupled with optimal and efficient work positioning to make your cuts easier, less stress and strain on your body and all while working in a safer more controlled way. Menno Kluiters trained as an arborist in the Netherlands in 2000 but saw the Southern light and moved to New Zealand in 2004. He currently works for Ministry of Primary Industries on the Myrtle Rust response. He recently completed the Diploma in Arboriculture with Distinction. In May 2017 a new fungal pathogen was found on mainland New Zealand: Myrtle Rust. Much is unknown on how it will affect our iconic Myrtaceous trees in the long term. At the time of writing, Myrtle Rust was recently found on the South Island, and much will change by the time of the conference. This presentation investigates the available data and latest observations from the field. There will be in-depth background information on the lifecycle and climatic preferences of Myrtle Rust as well as what hosts are most affected and how it ultimately may impact our trees. The presentation will be concluded with a discussion on how we should manage Myrtle Rust. 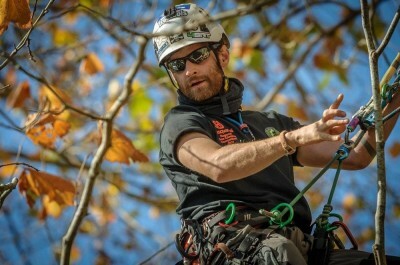 Jez trained at Merrist Wood College in the UK and was a climbing arborist for several years. He has a Degree and Masters in Ecology and Conservation and has worked on the Agile Frog Species Recovery Programme in Jersey, and as a Wildlife Guide in the Amazon. He was an Arboricultural Officer for a number of UK Councils where he developed guidance on Amenity Tree Valuation, and Tree Protection on Development Sites. In 2007 Jez migrated to New Zealand and was employed by a large Council in the Resource Consents, and then Sustainability Team. 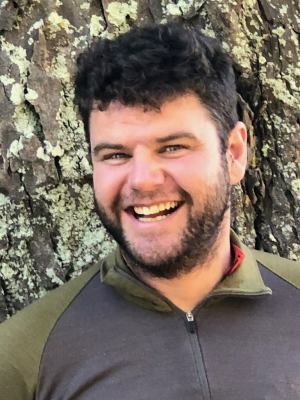 Jez founded Treecology Tree Consultancy in 2010 and is based in the Wairarapa where he is co-convenor of the Greytown Tree Advisory Group, and assists with the protection of local heritage trees and native bush reserve. He has a particular interest in veteran tree management and ecology. Councils have had the ability to restrict the removal and trimming of trees in their District Plans for some 25 years. However, the number of trees protected in each District Plan is highly variable. Some Plans protect no trees at all, whilst others protect hundreds. For the first time, a comprehensive database of the number of protected tree and evaluation methodologies being used by every Council in New Zealand has been compiled. The Standard Tree Evaluation Method (STEM) remains the most commonly used methodology for evaluating trees, but new methodologies are also in use. A common thread between new and old is that they use a numerical threshold to determine whether or not a tree should be protected. This threshold has a critical influence on how many trees are ultimately protected by each District Plan, as do other factors such as whether the tree owner’s consent is required to protect a tree. For this investigation, every NZ Territorial Authority was contacted and asked to supply information on the number of protected trees, the evaluation methodology used, the numerical threshold for inclusion, whether a landowner’s consent is required, and whether Councils contribute towards the cost of protected tree management. 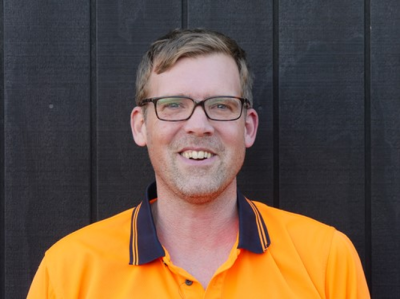 Craig Webb is a consultant with 13 years’ experience in the private sector and three years as a Council resource consents and compliance arborist. Craig has been involved in hundreds (if not thousands) of projects involving trees in relation to site development, infrastructure and civil matters; involving tree surveys, effects assessment, tree condition and risk assessments. While working at GreensceneNZ Limited, Craig trained and mentored consultant arborists to assist them with developing report writing skills, so he has a vast understanding of the types of reports required in the arboricultural industry and the problems and pit-falls that many arborists encounter when writing reports. Craig will present 26 fundamentals of report writing in alphabetical order. This will cover some of the do’s and don’ts of professional reports. The presentation is aimed at arborists and similarly-aligned practitioners that may be starting out with report writing, or those with some experience that wish to gain more understanding of the art of report writing. Dr Neil de Wet is a public health medicine specialist and Medical Officer of Health for the Bay of Plenty and Lakes districts in New Zealand. After completing his medical training, and working in a variety of clinical specialties, he went on to do a masters degree in environmental science and spent several years working in the area of climate change and health research in New Zealand and the Pacific Islands, before completing his specialist training in public health medicine. His interests include environmental health, ecology and health, the control and prevention of infectious diseases, childhood obesity prevention, and risk communication. A more recent focus has been drawing on ideas and concepts of biophilic design and biophilic cities to understand and explore how biophilic thinking can inform and transform public health theory and practice. The possible health benefits of experiencing and interacting with trees, nature and healthy ecosystems in our daily lives are increasingly being understood and recognised. These include lowering stress hormones, improving immunity, lowering blood pressure, less depression and anxiety, less cardio-vascular disease, and possibly lower cancer risk and longer life expectancy. For children, there are likely benefits in terms of physical and social development, cognitive development and learning, less risk of obesity, and helping cope with the adverse effects of stressful experiences in childhood. There are also likely wider benefits such as improving the quality of our social interactions, helping reduce some of the harmful health effects of socio-economic disadvantage, and increasing our sense of well-being, belonging, meaning and purpose. This presentation draws on the ideas and concepts of biophilic design and biophilic cities to describe a transformation of public health thinking and practice that is defined by our innate ‘love, awe and respect’ for nature. It explores how biophilic approaches that value and nurture nature in places where we live, learn, work and play can help improve health and well-being. Such a biophilic approach can not only help with current population health challenges related to preventing and managing conditions such as obesity, diabetes, cardio-vascular disease, cancers, and anxiety and depression but also help address concerns and emerging future impacts on health related to biodiversity loss, ecosystem degradation and collapse, degradation of land and water resources, and those arising from the disruption and instability of the global climate system caused by greenhouse gas emissions. In particular, it describes a ‘Health for All’ approach where the ‘All’ is understood as health for humans, other species and ecosystems, so recognising the centrality of healthy, thriving nature for our own health and well-being while also respecting the intrinsic value and worth of other species. Since beginning her masters, Nikole has become emerged in all things trees of the past. Her interest lies not only in understanding the dynamic process human-induced vegetation changes but also traditional narratives of the use of trees and the role they played in Māori society. Stands of forest trees represent resources used throughout time for building, fuelwood, subsistence, medicine but also as tohu or signs of seasonal events and places of spiritual significance. Nikole’s thesis focuses on two contemporaneous horticultural sites in the North Island of New Zealand, understanding differences in vegetation change and management, between coastal and inland horticultural complexes. For her, this is just the beginning of where she would like to go in utilising charcoal to understand the history of the forested landscape of New Zealand and the cultural practices intrinsic to the nature of this change. Trees play a significant role in all societies; the dynamic process of human-induced vegetation change in forested landscapes provides information on cultural practices, management techniques, and vegetation response to disturbance. However, how can we observe this process when it took place hundreds of years in the past and without a written record, the answer is charcoal. Charcoal is the by-product of burning activity, when found in an archaeological context is becomes an ecofact which tells a story of the activities of people in the past. This talk will describe the process of identifying charcoal to species and how we can use this information to reconstruct the impact of humans on the landscape by understanding how they managed the forest taxa available to them. Charcoal, in conjunction with traditional narratives, provides information such as how wild vegetation was managed, changed and used, the role of post-disturbance successional species re-growth, and preferential selection of forest taxa. Examples from research throughout New Zealand, and specifically the Chatham Islands, Coromandel Peninsula, and Waikato, will be used to explore what we know of forest management and change in the past, and where this research can take us in the future. Andrew has worked as an arborist for almost 25 years. After training at Wintec back in 1994, he worked for various Arb companies throughout New Zealand and owned his own company in Auckland. Andrew began teaching Arboriculture at the Wintec Horticulture campus in the Hamilton Gardens in 2001 to share his skills and experience with a new generation of arborists. He is a three times NZ tree climbing champion and still works hard to maintain his fitness and climbing skills. Lean - Mean - Tree Climbing Machine! Staying fit and healthy is essential if you are planning a long and productive climbing career. Keys to maintaining good fitness and health, along with treating injuries carefully will be discussed in this interactive session. Some simple safety tips will also be up for debate. Knowing how to integrate healthy choices into your lifestyle and work could save your career and possibly more. Want to be a Lean - Mean - Tree Climbing Machine? Come along and be a part of the discussion. This session will be formed with the collaboration between health professionals and sports coaches. 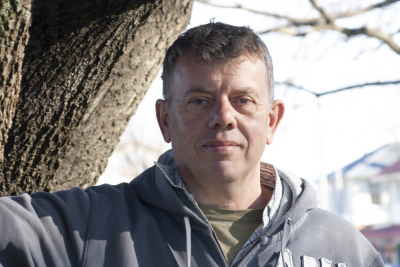 Andy Neverman has over 20yrs experience in the arboriculture industry, with time spent in London, Canada and Singapore. 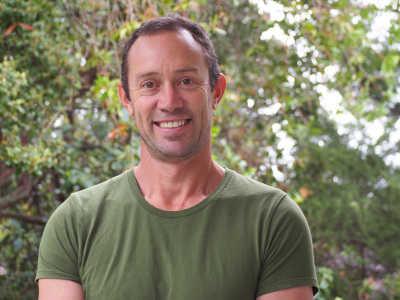 He is now a self- employed contract climber based in Bay of Plenty, and an international trainer for thoughtplanters NZ Ltd. Andy has been an active competitor in the New Zealand and the Asia Pacific Tree Climbing events. 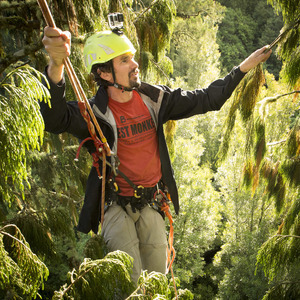 He is the head technician for the New Zealand tree climbing competitions. 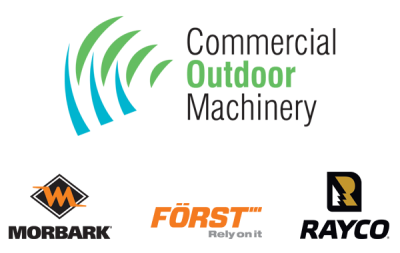 Rossy is the managing director of Pro Climb Limited – Tree Care Auckland. His company is based in Auckland, New Zealand and specializes in tree climbing, horticultural abseiling and general tree care. and Plant Research, Primary ITO and an expert witness to Worksafe. inevitable part of our lives it can certainly be managed and reduced to an acceptable level. 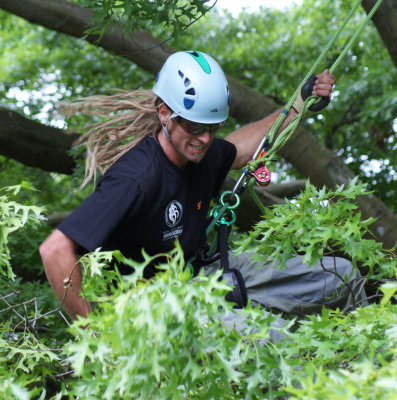 We all know what the legal requirements are when it comes to ensuring the safety of arborists accessing trees using arboricultural climbing techniques. One of the most basic requirements is that a second climber is on site who is capable of performing a rescue. In workshops and presentations, Rossy has shown what training and equipment the climbing teams at Pro Climb receive to ensure that a rescue can be completed successfully. He has observed that the system used is not complete but is constantly evolving. Over the past year, Rossy has identified and learned about an injury category that has not been previously identified in his company procedures. Rossy will talk about the rescue of climbers with spinal injuries and open a discussion on how we as an industry can better ensure the safety of our climbers. Sam works as a climber in West Auckland & operates a technical consultancy company trading as RED - Ropework Education Design Ltd. With strong links to manufacturers & a thorough understanding of Arboriculture & its related disciplines; RED offers high end technical solutions to complicated problems. Watch out for training courses, online content & technical reports on future developments in the industry. The recording of lift weights when removing trees via crane or helicopter is considered best practice in arboriculture. This is accepted in theory but in reality it is normally neglected. There is a clear need for an easy to use, mobile friendly, digital solution. LogA provides a data capture solution to arborists whilst still on site, with analysis & colour coded feedback provided in real time. During the presentation the system will be described & the process of data capture demonstrated. There will be a workshop on how to read your data and we will finish with an open forum where ideas for future developments can be discussed. LogA allows us to quantify the great body of anecdotal experience that currently exists among arborists.